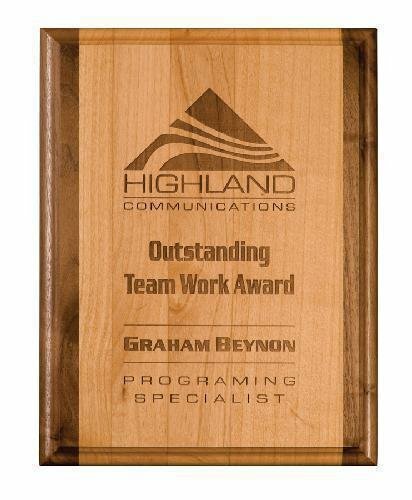 Engraved plaques are a great way to display your message for years to come. 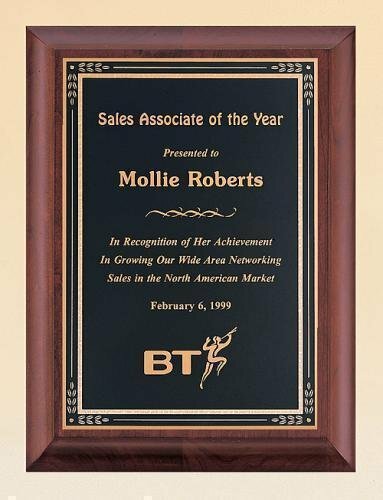 Plaques are great for business milestones, sports achievements, donor appreciation, commemoratives, memorials, mission statements and more. 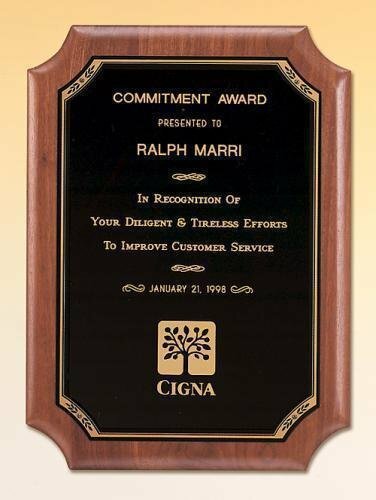 Plaques come in a variety of finishes and colors available from walnut plaques, to rosewood piano finish plaques, black piano finish plaques and even glass and acrylic wall plaques. 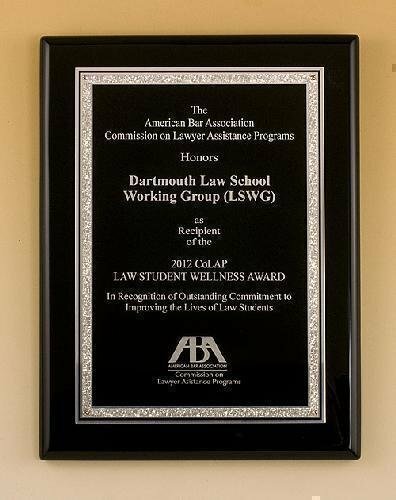 Our matte black finish plaques have a contemporary look, are economical, and there are no extra charges for your personalization text. Our full-color digital imprint process allows you to customize your plaque with a color logo or clipart. Choose from gold, silver, or white aluminum for your imprint. Available in eight sizes. Our collection of piano finish plaques come in various finishes such as rosewood piano finish. 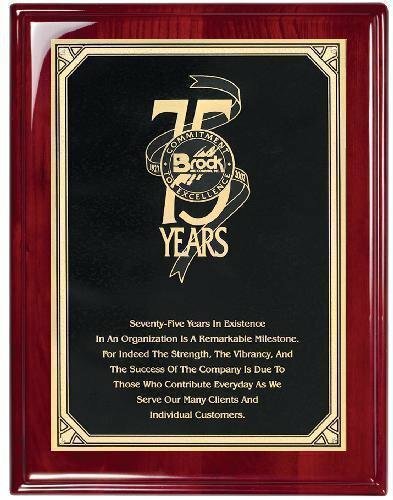 An excellent choice for sales awards, employee awards, achievement awards and many other awards and recognition presentation occasions. Price includes engraving of up to 10 lines of text. Logos, photos and graphics additional. Add this item to your shopping cart to enter your personalization text and upload logos and other files. 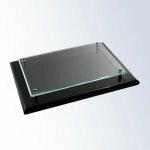 We will send a proof for approval before engraving. You must respond within 24 hours to avoid delays in production time.